With global “risk on” back in full swing, the focus of U.S. monetary policy belatedly shifts back to fundamentals. October’s 271,000 was the largest jobs gain since last December. The unemployment rate is down to 5.0%, the low since April 2008. Average hourly earnings were up 2.5% y-o-y in October, the strongest performance since July 2009. The private sector added an eye-opening 268,000 jobs during the month, with Services employment up 241,000. Indicative of an extraordinarily unbalanced economy, no manufacturing jobs were created during October. Existing home sales are on track for the strongest year since 2007. Automobile sales are booming as well. Monthly auto sales last month posted the strongest October since 2001 (from Dow Jones), with annual sales poised to test the all-time record. Kelley Blue Book is expecting 2015 sales 12% above 2014. My point is not that the U.S. economy is robust - or even sound. From my perspective, booming home and auto sales reflect the upshot from years of ultra-loose financial conditions and a resulting “Bubble Economy”. Importantly, the Federal Reserve’s extreme monetary accommodation is grossly inappropriate considering U.S. financial and economic backdrops. Keep rates at zero, print a few Trillion, backstop booming financial markets long enough and spur unprecedented inflation in (perceived) Household Net Worth – and Bubble Economy Dynamics will eventually prevail. They have. The Yellen Fed is now expected to raise rates next month. And, suddenly, there’s some trepidation that “one and done” might not suffice. From a traditional analytical perspective, the Fed has fallen behind the curve in historic fashion. In the past, it would take a series of hikes and a period of time to temper the intense impulses to borrow, lend, spend, invest and speculate. Especially if monetary conditions were held loose for too long, some real pain was required to impose some restraint. Granted, traditional monetary management and system behavior have little to do with the present. Rarely do I encounter the phrase “behind the curve.” The Yellen Fed threw another big monkey wrench into the analysis when it delayed the expected September rate lift-off due to global considerations (China & EM). Markets have been increasingly confused by central bank thinking, with little clarity as to what factors will be driving policy decisions. At the same time, market participants have remained comforted that global financial fragilities ensure the Fed will hold in the vicinity of zero, with no real “tightening” contemplated. Moreover, the ECB and BOJ will (at the minimum) stick with current QE purchases. The PBOC will surely continue on a course of much lower rates (to zero?). U.S. fundamentals have mattered little because of the view that the Fed’s attention was directed elsewhere. Friday’s booming non-farm data were too strong to ignore. The U.S. economy appears to have found a head of steam after the summer slowdown. The S&P500 gained 1%, a strong but unremarkable week. Below the surface remarkable thrives. The Banks (BKX) surged 5.5% and the Securities Broker/Dealers 6.3%. The Biotechs (BTK) rallied 4.4% this week. The small cap Russell 2000 jumped 3.3%. It’s worth noting that the banks, brokers, biotechs and small caps have been popular sectors for short positions. Trading activity in many highly shorted stocks has been wild. Meanwhile, the Utilities sank 4.1% and gold stocks (HUI) were hammered 10.8%. Below the pleasant exterior exists vicious market internals – and it’s not just stocks and not only in the U.S. Italian yields surged 31 bps this week. Chinese stocks rallied 6.3%. Crude (WTI) sank 4% this week. 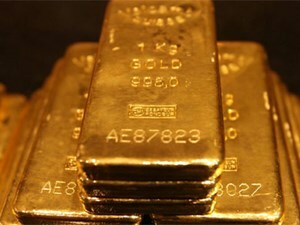 Gold fell 4.7% and silver sank 5.1%. Currency market violence reemerged this week. The New Zealand dollar sank 3.7% (against the US dollar), while the Brazilian real gained 2.3%. The euro and pound fell 2.4%, and the Swiss franc and Canadian dollar lost about 1.8%. And Thursday from Reuters: “US Swap Spreads Hit Unchartered Negative Levels.” There’s something not right in global markets. Truth be told, global monetary management is a complete mess. From my perspective, what commenced in the early-nineties with Greenspan nurturing U.S. non-bank Credit expansion has led to today’s monetary policy-supported runaway global securities and derivatives markets Bubbles. On the one hand, I believe Fed leadership is concerned about excesses and would prefer to begin a long, drawn-out process of “normalization.” But August provided evidence of acute global fragilities and how quickly booming markets can dislocate. Greenspan’s rate and yield curve manipulations, along with “asymmetrical” market support, provided a huge advantage to leveraged speculation. Post-2008 crisis bailouts, QE and market manipulations only further incentivized financial speculation. And concerted global open-ended QE in 2012 spurred destabilizing “Terminal Phase” speculative excess. When serious Bubble fragilities reemerged in 2013, Bernanke resorted to assurances that the Fed would push back against any “tightening of financial conditions.” Nowadays, global central bankers have essentially committed to pushing back against “risk off” episodes of de-risking/de-leveraging. Today’s dilemma – for financial markets and central bankers – is that pushing back against nascent “risk off” unleashes another forceful bout of “risk on.” At this point, it’s either Bubble on or off – destabilizing either way. The global Bubble has grown too distended and the market backdrop too dysfunctional. Central bankers over the past 25 years have created excessive “money,” while incentivizing too much finance into financial speculation. There is now way too much “money” crowded into the securities and derivative markets, and the upshot is an increasingly hostile backdrop for leverage and speculation. The ECB has been widely criticized for raising rates 25 bps in early July 2008. In hindsight, the world at the time was on the precipice of a bursting U.S. mortgage finance Bubble. It’s forgotten that eurozone inflation was then running at 4%, fueled by crude that had spiked to $145. The Fed’s aggressive policy response to 2007’s subprime eruption had stoked powerful Bubble excess throughout the markets. And I believe strongly the world would have been better off to take the medicine in 2007 rather than have the Fed further destabilize the situation. It appeared in August that global financial and economic tumult would hold rate hikes at bay indefinitely. After three months of further central bank accommodation, the turbulent global market recovery has the Fed believing it’s safe to move off zero. Market participants are having a difficult time discerning the backdrop. Have the issues from the summer been resolved and a new bull run commenced? Or are markets in the calm before a more powerful round of “risk off”? Importantly, one scenario has the Fed commencing a “tightening” cycle. The other has no hikes, more QE and perhaps even negative short rates. Extraordinary complexities and uncertainties abound: in the global economy, throughout global markets and with central bank policies. This is a crucial debate, and I side strongly with Spence and Warsh. Summers refers to their “heterodox conclusion.” From my analytical perspective, over the years I’ve used the “Financial Sphere” versus the “Real Economy Sphere” framework when discussing divergent policy effects. I have no doubt that various monetary policy tools – rate manipulation, market liquidity backstops and QE – have created major distortions. Importantly, QE has overwhelmingly incentivized the acquisition (investment, leveraged speculation and stock buybacks) of financial assets (stocks, bonds and derivatives). Over the course of Trillions of QE and years of cumulative structural distortions, the consequences have been profound. I fear interminable global financial fragility is the most momentous. Spence and Warsh focus astutely on QE’s real economy effects. My deepest concern lies within the “Financial Sphere.” As lunatic fringe as it sounds to the emboldened bullish consensus, I believe QE and contemporary central bank doctrine have left global markets Irreversibly Broken and Dysfunctional. The damage is masked only so long as markets remain in “risk on” mode (unless one examines below the surface). As noted above, there’s something wrong in the markets. Clearly, there are serious struggles unfolding in the hedge fund community. And I believe market instability and policy uncertainty have forced an initial bout of de-risking/de-leveraging. Yet when markets go into (policy-induced) face-ripping, short-squeeze melt-up mode, the pressure to unwind short positions and bearish hedges turns intense. The bulls giggle, not appreciating the ramifications. These chaotic, volatile markets are hard on leveraged speculating community returns. Everyone is forced to over-commit on the long side, ensuring there will be a lot of selling, shorting and hedging when the next “risk off” flares up. Poor performance dictates a heightened state of risk aversion during the next downdraft. Poor performance begets poor performance – and pressure to de-risk and de-leverage. I recall similar dynamics prior to both the 1998 and 2008 crisis episodes. Friday’s payroll data reinvigorated King Dollar. Energy and commodities prices were under pressure. EM currencies stumbled. And I’m sticking with the view that the global Bubble has been pierced, though central banks have gone to incredible measures to keep pumping. The Fed at this point faces a very serious dilemma. EVERYONE knows that the baby-boomer generation is in the process of retiring, and that all those ex-hippies and punks can expect to live longer than the Americans who retired before them. But the financial challenge this poses is less well understood. Any lingering complacency ought to be exploded by two papers in the latest Journal of Retirement. The first*, from the Centre for Retirement Research (CRR) at Boston College, estimates the proportion of 65-year-olds who will be able to retire without a big hit to their disposable income. Pensioners do not usually need as much money coming in as workers: for a start, they no longer need to save for retirement. The CRR estimates that 65-85% of their previous income is a reasonable “replacement rate”, depending on the type of household. As well as private pensions, elderly Americans receive income from the federal government (in the form of Social Security, the public pension) and many earn money from their accumulated wealth, particularly by taking equity out of their houses. Even allowing for these sources of income, the CRR estimates that 52% of Americans may not be able to maintain their standard of living (which it defines as having an income that falls no more than 10% below the replacement rate). The problem is that many people simply do not save enough in a DC pension. The combined contributions of employers and employees average just 11.3% of salary. This will not generate the same level of pension as a typical defined-benefit plan. The CRR found that the average retirement assets of those aged 50-59 were just $110,000 in 2013, slightly lower than in 2010. This balance will improve over time, since DC plans are relatively new, but there is a long way to go. If pensioners take an (inflation-adjusted) 4% a year from their pot, they will need $250,000 just to generate an income of $10,000. At least, you might think, Social Security will provide a basic income for the elderly. But the second paper**, by Sylvester Schieber, a former chairman of the Social Security Advisory Board, points out that there are holes in the safety net. Retirement income is based on an average of every worker’s highest 35 years of earnings. But if a worker was not in employment for the full 35 years—because of sickness, an inability to find work or time spent caring for children or other relatives—the missing years count as zeroes for the calculation. Mr Schieber finds that people whose total careers lasted just 10-19 years comprise 8% of pensioners, but just over half of the poorest tenth of the elderly. Such workers could hardly have saved more for their retirement; they had barely adequate income in the first place. That could be a looming problem, given Social Security’s finances. Payroll taxes on current workers no longer exceed the benefits paid out, prompting the government to tap the surplus of past years. On current projections, this will run out in 2034. After that, the cost of pensions could still be met mainly by contributions from workers. But the politicians of the day may be forced to consider benefit cuts. Mr Schieber thinks the Social Security system is underfunded by around 25%. If an across-the-board benefit cut of that magnitude were applied, it would hit the poorest workers hardest, since they have few alternative sources of income. At present, a 25% benefit cut would reduce the income of the median pensioner by 12.3%. But the poorest tenth would lose 18.9% of their aggregate income. So budding pension reformers will have to solve several problems simultaneously. First, they need to stabilise Social Security while protecting (and indeed enhancing) the incomes of the poorest. That should involve some combination of higher taxes, benefit cuts for the best-paid and greater saving in the middle rungs of the income ladder—at the same time as ensuring that people do not save too much too quickly, in case the impact on demand crashes the economy. Despite its much longer experience with monetary stimulus, Japan's economy remains listless and has continuously flirted with recession. In spite of this failure, Japanese leaders, especially Prime Minister Shinzo Abe (and his ally at the Bank of Japan (BoJ), Haruhiko Kuroda), have recently doubled down on all prior bets. This has meant that the Japanese stimulus is now taking on some ominous dimensions that have yet to be seen here in the U.S. In particular, the Bank of Japan is considering using its Quantitative Easing budget to buy large quantities of shares of publicly traded Japanese corporations. So for those who remain in doubt, Japan is telling us where this giant monetary experiment leads to: Debt, stagnation and nationalization of industry. This is not a destination that any of us, with the possible exception of Bernie Sanders, should be happy about. The gospel that unites central bankers around the world is that the cure for economic contraction is the creation of demand. Traditionally, they believed that this could be accomplished by simply lowering interest rates, which would then spur borrowing, spending and investment. But when that proved insufficient to pull Japan out of its recession in the early 1990s, the concept of Quantitative Easing (QE) was born. By actively entering the bond market through purchases of longer-dated securities, QE was able to lower interest rates across the entire duration spectrum, an outcome that conventional monetary policy could not do. But since that time, the QE in Japan has been virtually permanent. Unfortunately, Japan's economy has been unable to recover anything resembling its former economic health. The experiment has been going on so long that the BoJ already owns more than 30% of outstanding government debt securities. It has also increased its monthly QE expenditures to the point where it now exceeds the Japanese government's new issuance of debt. (Like most artificial stimulants, QE programs need to get continually larger in order to produce any desirable effects). This has left the BoJ in dire need of something else to buy. Inevitably, it cast its eyes on the Japanese stock market. In 2010 the BoJ began buying positions in Japanese equity Exchange Traded Funds (ETFs). These securities, which track the underlying performance of the broader Japanese stock market, are one step removed from ownership of companies themselves. After five years of the policy, the BoJ now owns more than half the entire nation's ETF market. But that hasn't stopped it from expanding the program. In 2014, it tripled its ETF purchases to $3 trillion yen per year ($25 billion), and the program may be tripled again in the near term. In just another example of how QE is a boon to the financial services industry, Japanese investment firms are currently issuing new ETFs just to give the BoJ something to buy. However, these purchases have not proven to be particularly effective in doing much of anything, except possibly pushing up ETF share prices. But even that has been a mixed blessing. ETFs are supposed to be the cart that is pulled along by stocks (which function as horses). But trying to move the market by buying ETFs creates a whole other level of potential price distortions. It also tends to limit the impact to those holders of financial assets, rather than the broader economy. For this reason the BoJ is now contemplating the more direct action of buying shares in individual Japanese companies. If interest rates were never manipulated by central banks and QE had never been invented, the markets could have purged themselves years ago of the speculative bubbles and mal-investments. Sure we could have had a deeper recession, but it also could have been much shorter, and it could have been followed by a far more robust and sustainable recovery. 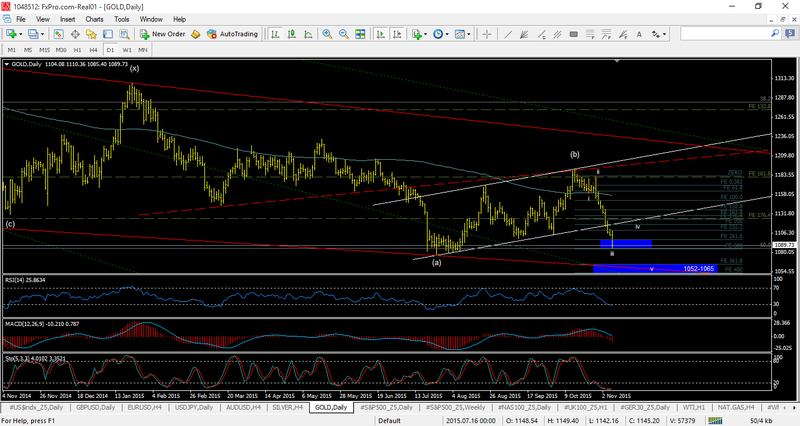 Gold broke the $1160/1770 support cited in my last update and confirmed the high in place. We may now have started our final decline to the bear market low in gold. Short term we should be looking for support to hold in the $1030/1060 range, but if that breaks we will see a very strong decline towards $885. Was it all just a dream? Did we blink and miss the metals bull market? It was only ten days ago that gold was at the highs, the dollar at the lows, and a new bevy of metals bulls (and some old ones) were loudly proclaiming the next leg of a secular ascent to be underway. 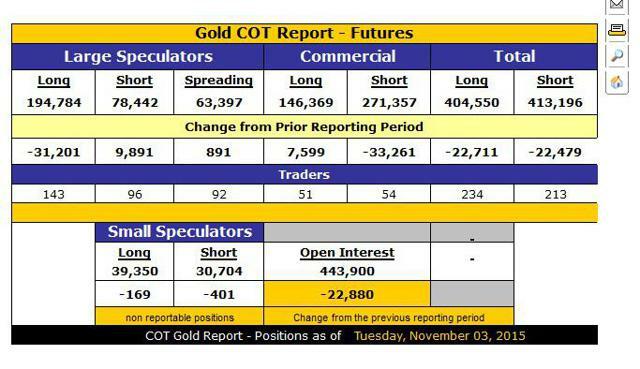 Last week we saw stats to show the accumulation of the biggest net long position among the silver speculators in history, with gold longs at lofty levels too, but this week we are down 10% and scratching our heads - I thought the running of the bulls took place in July? In my last article I noted that the minimum target for the rally had been achieved and sentiment was getting a little too frothy to be constructive in the short term, so gold bulls should be on high alert for a reversal. Support was given at 1160-1170 and if the rally was to continue that range should hold, but unfortunately it was exceeded and gold began a steep decline closing this week at a price of 1090 for an overall loss of 4.5%. The question being talked about now is are we in the final flush to new lows, or will the bulls successfully defend the 1077 level we dropped to in late July. My gut feeling is we are going to break it slightly and then start a little dead cat bounce to set up the final decline into spring 2016, but either way the bulls should take solace in the fact that we are very close to a major low now, albeit with the chance of a final white-knuckle ride of a washout between now and then, and we certainly have a catalyst on the horizon to trigger that drop. The Fed Tease Again, But Will They Deliver? The 'will-they-won't-they' rate hike saga has continued unabated for what seems like an eternity, and in the last statement from the Federal Reserve in late October they reiterated that they could raise the base rate in December, with the decision once again being data dependent. Naturally all eyes turned to the data, with the non-farm payrolls announcement attracting much of the focus among traders and money managers on Friday. Yes that has been the case in the past, however this time may actually be different given the set of circumstances we currently find ourselves in with respect to US Dollar denominated debt issued by non US governments in the emerging markets. I have made this point in a previous article, but it is worth repeating - there is estimated to be $9T of emerging market debt out there and if the issuers of this debt have failed to engage in an activity that produces the Dollars they need to make their loan repayments, they are stuck having to convert local currency to service the debt. A rate hike hurts them because the interest rate rises on any debt they choose to rollover, thus making their repayments larger and increasing the amount of local currency they need to convert into Dollars to make those payments. This puts a consistent bid under the Dollar, and exacerbates the situation as a strengthening Dollar also increases the amount of local currency required to make payments. A snowball effect if you will. Additionally, I have not even touched upon the effect this will have on how the market views their debt in terms of risk - make no mistake this 'cheap' debt issued to take advantage of a fire sale in the Fed Funds rate may end up burning the house down as the market re-prices in the chances of default and the issuers have to increase yields to attract bids. If the Fed raise the base rate in December and these countries decide to hedge their currency exposure, the Dollar will simply explode higher and no doubt send commodities generally (and gold specifically) much lower. A December liftoff may well be the catalyst to send gold to its final low - certainly something to bear in mind as we watch the show in 5 weeks time. Of course since markets move in anticipation of future events, we only need people to believe the action will be taken and the result becomes reality as we have seen this week. A number of currency pairs broke key support levels versus the Dollar this week, with the Pound dropping below 1.508 and looking likely to re-test the March lows, and the Aussie breaking major long term support and looking very bearish indeed. If you had doubts about true Dollar strength, and were perhaps thinking that the rise was mostly an effect of the weak Euro, those doubts should now be assuaged - the Dollar is breaking out. I am expecting the third wave higher to complete in the 106-110 range, but a measured move for the bull flag pattern would take us higher towards 115 and the top of the trend channel. Either way, the dollar looks primed to move higher, so the question is not whether gold is about to come under pressure but rather how much pressure is going to be exerted. Could we have started the final flush? Here we can see that the bulls are indeed running, with the massive net long positions built up by the Large Speculator category being reduced by 40,000 contracts this week. The price drop is not a result of a barrage of new shorts coming into the market to overwhelm the bulls; this is the new bulls giving up on their positions. Although we have seen a decent reduction in the net long positioning of the specs, there is ample room for this to drop further as over the past couple of years all the swing lows have been formed when their net long position reaches 20,000-60,000 contracts. However, you should keep in mind that the report covers action up until Tuesday each week, and since price has moved lower since then there is a good chance their net long position has already been further diminished. We will find out next week I guess. 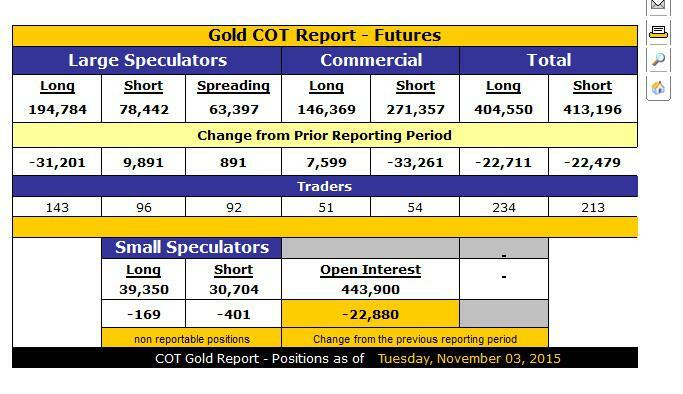 One last thing on the CoT report - in order to get the final low in gold, we must see the speculators achieve a net short position (something that has never happened since the report was first published in its current format in 2006) rather than just a small portion of them (I'm thinking of the Hedge Funds here) and the only way that is going to happen is if the price of gold drops and they start to chase it lower. Gold and the gold miners may seem cheap here, and in historical terms they certainly are, but don't forget that cheap can get cheaper and while they are both oversold you should not discount the chance that a strong decline has now begun to our final lows. The major mining index (NYSEARCA:GDX) has taken a real beating since I wrote my last article here on Seeking Alpha. It has dropped 22%, with the move lower looking very strong and I doubt there will be too many brave bulls coming in to buy this decline until we get some kind of consolidation to mark a reduction in the selling pressure. In an ideal scenario we should start a consolidation in the near term that takes us back up towards 14.60 before making one final low in the 12.50-13.00 range, but the fib supports are detailed on the chart and I am open to a far bigger decline than perhaps people are currently expecting. A drop to somewhere between 9 & 10 is not impossible here. If we are to make a swing low in the next few weeks, we need to start a wave 4 consolidation in the early part of this week that takes us back up to the 1120s before heading back down to the 1050/1060 range and possibly as low as 1031. If however we are in our final decline to bear market lows, we will continue to drop through all of these support levels, and the major fib targets are 1031, 942 & 885. Ultimately gold is close to the bear market low, and has a chance to make it at the end of this month if we see firm new lows and manage to get the majority short in terms of their positioning. If we see only a marginal new low form in the next couple of weeks and we see the Speculators buy en masse, it may only be an oversold bounce before one final decline into spring 2016. As usual I wish you all good luck for the coming week! German Chancellor Angela Merkel is facing significant blowback over her refugee policies. For almost three quarters of an hour, it was as though there was no refugee crisis in Germany. Last Monday, Angela Merkel was in Nuremberg for a town hall discussion with a specially chosen group of conservative voters. A moderator in a light-colored, summer suit directed the proceedings as Merkel chatted about everything "that is important to us." Initially, the focus was on those things that used to be important to Germans -- up until roughly eight weeks ago. Things like vocational education, the country's school system and the difficulty German companies have in competing with companies like Google and Apple. It was like a trip back in time -- back to Germany's recent past, when the country was happier and untroubled. But then Christine Bruchmann, a local business leader, abruptly steered the discussion back to the issue that has dominated Germany in recent weeks. Bruchmann wanted to know if Merkel was concerned that the huge numbers of refugees currently arriving in the country could disrupt societal balance. The German chancellor took a deep breath before launching into a sober analysis of the job she has done in the past two months. Unfortunately, her conclusion was not particularly rosy. She knows, Merkel said, that there still isn't European agreement on how to share the refugee burden; that there is still no deal with Turkey on slowing the inflow of migrants into Europe; and that along the Balkan Route, used by hundreds of thousands of Syrians, Afghans and Iraqis in recent weeks in their quest to seek asylum in Germany and other northern European countries, there is a lack of "order" and "control." In particular, Merkel said, she is concerned about that "which makes Germany so strong," namely "the societal center." She is constantly asking herself, Merkel related, "if we are losing the center." One of Merkel's great strengths is an unerring sense for political reality. As such, her comments at the town meeting early last week show that nobody knows better than Germany's chancellor just how precarious the situation in the country has become. The influx of refugees continues unabated and Merkel's public approval ratings continue to fall in lockstep with sinking support for her center-right Christian Democrats (CDU). Meanwhile, her quarrel with Horst Seehofer, head of the Christian Social Union (CSU), the CDU's Bavarian sister party, has reached a new and dangerous level. Seehofer has issued so many ultimatums to the chancellor that he will eventually be forced to make good on one of his threats -- which could throw Merkel's suddenly wobbly governing coalition completely off kilter. The government, in short, has lost control. And Germany is in a state of emergency. Merkel can still rely on a large number of supporters within her own party. But each day that thousands of refugees cross into Germany, the certainty that such support is sustainable erodes a bit further. Not long ago, Merkel was considered the strongest political leader in Europe, one whose term in office could only come to an end were she to decide herself against running for reelection in 2017. Now, both foreign and domestic media outlets are wondering aloud whether she will run into serious trouble before Christmas, or shortly thereafter. "The end of the Merkel era is within sight," the Financial Times wrote a week ago. Merkel's historic decision to open Germany's borders to refugees stuck in Hungary was morally unassailable. But politically, it has put her on the defensive. Now, in order to tighten up Europe's external borders, she is dependent on the help of erstwhile opponents such as Turkish President Recep Tayyip Erdogan and Greek Prime Minister Alexis Tsipras. In the EU, meanwhile, her maxim that Europe should not get back into the business of building border fences is being openly questioned. Austrian Interior Minister Johanna Mikl-Leitner, for example, announced last week that her country was being forced to build additional security facilities because the "inflow" from Slovenia was larger than the "outflow" into Germany. There is no shortage of schadenfreude these days when European politicians speak about the German chancellor. The true ruler of Europe, who forced her austerity policies upon the entire Continent, must now come begging for help in dealing with the refugee crisis, people in Brussels are saying. Indeed, it is slowly becoming apparent that Merkel's influence in the EU is waning just as her support evaporates back home in Germany. To be sure, the chancellor's stock has risen in recent weeks among Green Party supporters and left-wing Social Democrats. But her own core of center-right voters is fearful that the "refugees welcome" movement could give rise to a parallel society of Muslims in the country. The situation is not dissimilar to the fate of her predecessor Gerhard Schröder. In the early 2000s, the Social Democratic chancellor pushed through welfare cuts and reduced unemployment benefits that severely alienated many in his party. The result was a reanimated Left Party, the far-left political movement that partially grew out of the former East German communist party. This time, leading German politicians have warned, Merkel's asylum policies could provide a shot in the arm to the country's right-wing populists. One member of her government warns that her stance on migrants is an "aid program for the AfD," a reference to the anti-immigration party Alternative for Germany. The party, which received 4.7 percent of the vote in Germany's last general election, is currently polling at 8 percent, according to a survey released on Saturday. CDU members say that Merkel's only option for freeing herself from the trap in which she currently finds herself is that of rapidly reducing the number of immigrants arriving in Germany. But it doesn't currently look as though that is a realistic possibility. Some 500,000 refugees have entered the country since the beginning of September, and there is no end in sight. "Prepare for the eventuality that in the coming weeks, 10,000 to 12,000 refugees will arrive at the border each day," a member of the Coordinating Committee inside of Germany's Interior Ministry said last Wednesday, quoting from a communiqué from the Austrian Interior Ministry. The situation at Germany's borders has indeed become dramatic. Last week, for example, Austrian authorities brought over 7,000 refugees to the German border and simply unloaded them there at 3:30 a.m. One day later, Emily Haber, state secretary in Germany's Interior Ministry, said: "We have to prevent a repeat of such chaotic scenes at the German border." She then added: "That was a clear violation of the agreements." One exhausted aid worker spoke of a "humanitarian catastrophe." And SPD parliamentarian Christian Flisek from the German border city of Passau said: "We are transforming our border areas into the country's refugee camp. It can't continue indefinitely." The mood isn't just becoming critical at the border. In late October, 215 mayors in the state of North Rhine-Westphalia wrote a letter to Chancellor Merkel and to the state's governor, Hannelore Kraft, saying that their ability to cope with the situation had been exhausted. Almost all available shelters were full to overflowing, they wrote, and even providing people shelter in tents or containers was hardly possible anymore. Furthermore, the municipalities are so busy with managing the inflow of refugees "that we are unable, or only partially able, to fulfill our other municipal responsibilities," they wrote in the letter. At almost exactly the same time, five municipal politicians from another region in the state sent an additional letter of protest to Governor Kraft's office. There is indeed much that is no longer working. The federal government has still not made the 40,000 emergency beds available that it promised back in September during an emergency summit at the Chancellery. Furthermore, underage migrants are often put on trains unaccompanied and sent across the country. And it still often takes more than six months before refugees can even file their applications for asylum. Jörg Warncke, mayor of the municipality of Lachendorf in Lower Saxony, groans. His city hall has exactly 32 employees and, until recently, only one of them was responsible for welfare cases, low-income medical care cases and asylum-seekers. Now, Warncke has diverted sufficient funds from the budget to hire a second case worker and has also charged the municipality's IT expert, in addition to two employees who had been responsible for kindergartens, with finding possible refugee shelters. "We are managing the situation only with great difficulty," Warncke says. He says he has been unable to find someone in the area who speaks Arabic and that they only have one translator for Turkish and one for Kurdish. "At the beginning, we could hardly communicate with the people. Luckily, some of the first refugees who came to us have managed to learn a bit of German and can help out as interpreters." The chancellor is fully aware of the difficulties encountered on the local level and she knows about the lack of sufficient shelters, of interpreters and of judges who can make decisions on individual asylum cases. But she doesn't have a solution for quickly easing the mounting pressures. And one reason for that is that Merkel, long renowned for keeping her cards close to her chest, has been unprecedentedly explicit about where she stands on the refugee crisis. Essentially, she views the crisis through the prism of two questions: Can Germany reduce the number of arriving refugees by way of national legislation? And: Should the government say that there is a limit to Germany's capacity? She has clearly and explicitly answered both questions in the negative. Merkel believes it is impossible for Germany to seal off its borders. For her, the erection of a fence would not just be ineffectual, but would also represent the end of the European ideal. Having grown up in communist East Germany, she is from a country that cut itself off with walls and barbed wire -- and she doesn't want to relive the experience. She views all other proposals that have been made as mere political posturing. That also explains why she has stubbornly avoided establishing a maximum number of refugees that Germany can accept, as her nominal political ally Horst Seehofer has repeatedly demanded. How high, after all, should such a maximum be? And how can it be enforced? Merkel doesn't believe that there is a satisfactory answer to such questions. It may be that Germans want her to establish a limit to the burden Germany can accept. But it would be politically dangerous for Merkel to identify a maximum that couldn't be adhered to. That is her view of the situation. It would be inaccurate to say that Merkel is alone in her view of the situation. Chancellery Chief of Staff Peter Altmaier has long been among her closest confidants and he unconditionally supports her position on the refugee crisis. Indeed, she recently named Altmaier as her refugee coordinator. To be sure, the list of potential candidates for the job wasn't long. Christian Democrat éminence grise Wolfgang Schäuble, Germany's finance minister, has clearly articulated his skepticism in recent weeks and Interior Minister Thomas de Maizière is closer to Seehofer on the refugee issue than he is to Merkel. But Altmaier was a natural choice for other reasons as well. For one, he shares Merkel's faith that, even as the pressure is intense, the chancellor will be able to resist it for much longer than critics believe -- perhaps even long enough to create an EU distribution system and reach an agreement with Turkey, even if neither of them believe that such moves would rapidly reduce the numbers of refugees. For another, though, Altmaier is an unshakable optimist and studiously avoids the kind of alarmism many in his party propagate -- largely because he has long had a different approach to the issue of immigration than most others in his party. At the end of former Chancellor Helmut Kohl's term in office, Altmaier -- who was a young CDU parliamentarian at the time -- joined with a handful of other young conservatives in an effort to change the party's approach to immigration. At the time, it was a viewpoint that placed him and Merkel at the fringes of the party. Things have changed since then, but the party is still largely mistrustful of immigration and fearful that German culture could be overwhelmed. Altmaier has no understanding for such worries. As a result, he defines Germany's refugee capacity differently than do most CDU members. Germany, he is convinced, is a rich country and can find a solution to the logistical problem it is facing and can integrate even more refugees. Of course, the numbers of new arrivals will change the country, but that doesn't scare Altmaier in the slightest. It is possible, of course, that Altmaier overestimates Germans, but he is right when he points out that his fellow countrymen are not unmoved by the fate of the refugees. "The incidents this spring clearly showed that Europe cannot tolerate seeing people in need drowning," he said. Still, Altmaier knows, as does Merkel, that they can't simply ignore the building pressure and the growing skepticism of her political path -- which is why they are open to finding a compromise with the CSU, such as entering into negotiations with the SPD over so-called transit-zones. The idea is that of establishing zones on the margins of Europe where refugees can be sheltered and asylum requests can be processed before approved asylum applicants are distributed throughout Europe. Neither Merkel nor Altmaier believe such negotiations will amount to much, but they are eager to show that they are willing to seek middle ground. Things are moving elsewhere as well. The Chancellery, for example, agrees with the Interior Minister's proposal of sending back rejected asylum-seekers from Afghanistan. A Chancellery source said that the extension of Germany's military engagement in Afghanistan could be used to establish safe zones, allowing for the return of asylum seekers. Another issue of dispute among German conservatives is that of allowing refugees to send for their families once they have received asylum status. And that problem could ultimately be resolved by the mere passage of time. At the moment, for example, there are so many asylum applications outstanding that the number of applications for family reunification remains low. Still, despite the concessions Merkel has thus far made, she remains unmovable when it comes to her central convictions. She refuses to define a maximum number of refugees that Germany can accept and she refuses to consider the construction of a border fence. As such, Seehofer isn't likely to back down. His quibbles, after all, aren't with certain elements of Merkel's refugee policy. He disagrees with her approach in its entirety and insists that Berlin place a cap on the number of people the country can take in. He also faces tremendous pressure in his home-state of Bavaria. Located on the border with Austria, the state has borne the brunt of the refugee crisis and for weeks, mayors, municipal politicians and volunteers have been complaining that they have reached their limit. The atmosphere within the CSU's state parliamentary fraction has become pre-revolutionary. Seehofer cannot afford the kind of equanimity that characterizes Altmaier. Instead, he has spent the past several weeks launching attack after attack against Merkel. He has said, for example, that Merkel's decision to take in the refugees trapped in Hungary is a choice "that will occupy us for quite some time to come." And he invited Hungarian Prime Minister Viktor Orbán, who built a fence on his country's southern border to keep the refugees out, to a party event in Bavaria. Seehofer, though, is himself skeptical of proposals to build a border fence and he isn't interested in changing German asylum policies. "Everybody knows that there isn't a lever to stop the flow of refugees," says one member of the CSU leadership. "But you have to give the people the feeling that you are interested in achieving that goal." Merkel is concerned about losing support should she be unable to live up to promises she has made. Seehofer is convinced that voters will turn their backs on the conservatives if they get the feeling that their worries aren't being taken seriously. But Seehofer also didn't believe that Merkel would remain so stubborn in her refusal to set an upper limit, which partially explains why he allowed the quarrel to escalate. At the beginning of October, he threatened "emergency defense" measures should Merkel not change course. A few days ago, a new implicit threat emerged when Seehofer declined to deny reports that the CSU could pull its ministers out of Merkel's government. The CSU currently holds three seats on Merkel's cabinet. And he has also opened yet another new front recently in the battle against Merkel. If Berlin continues to refuse establishing an upper limit, Seehofer said, his party may file a complaint with Germany's Constitutional Court. The fierce battle between Merkel's CDU and Seehofer's CSU is harmful to both sides. While the CDU's public approval ratings have fallen, so too have those of the CSU. The party now stands at 43 percent, roughly 5 percentage points fewer than when Bavarian voters last went to the polls two years ago. And for the CSU, winning the absolute majority in state elections is really the only thing that counts. That's also one of the reasons Seehofer is putting up such a desperate fight, though at this point, he would likely be satisfied with even just a small gesture. "The words upper limit don't necessarily have to be uttered," says a person close to the party boss. "Merkel could also say that she will do all she can to ensure that the influx doesn't continue the way it has." But it's unlikely Merkel will even agree to that -- raising the possibility that Seehofer has unleashed a genie that he will no longer be able to shove back into the bottle. The longer Merkel ignores the CSU's increasingly insistent demands, the greater the possibility that the Bavarian party will lose credibility. To avoid that eventuality, Seehofer will ultimately have to follow up his bluster with action. Within the CSU's party group in the national parliament in Berlin, the mood is getting increasingly rebellious. "If we have nothing but vague plans for transit zones, then the disaster will take its course," warns the group's justice affairs coordinator, Hans-Peter Uhl. He says that Germany is so overstrained from the influx of refugees that it is self-evident the government must be prepared to turn people away directly at the border "always based on the principle of proportionality." He says he plans to move forward with other domestic policy specialists to submit a petition to Merkel's government calling for it to take more decisive action. But what happens if Merkel doesn't yield? Bavaria, after all, cannot simply close its borders. "The chancellor cannot just single handedly dictate the path. Instead we need to work together and agree on how the course is set politically," said Hans-Peter-Friedrich, deputy head of the joint parliamentary group of the CSU and Merkel's CDU. "Anything else would be in violation of the agreement governing our group," he says, adding that nobody wants to revoke these working agreements. But the former German interior minister also quietly conveyed the threat of doing just that. "In terms of Seehofer, I consider anything to be conceivable at the moment," says one member of the CDU's national party executive. Trouble is also brewing within Merkel's own party. On Wednesday night, a county chapter of Merkel's party held a town hall meeting focused on the issue of refugees at an inn in the town of Bopfingen in the southern state of Baden-Württemberg, a heartland of CDU voters. Some 50 residents met in a back room with three CDU politicians. The mood was far from positive. Thomas Trautwein, the head of the city chapter of the party, accused the chancellor of having sent a welcoming message around the entire world. "It's no longer possible to bring things under control again," he said. Winfried Mack, a member of the state parliament representing the town said, "The right to asylum is not there for us to take in entire peoples." Finally, Gunter Bühler, the mayor, said, "It's my opinion that we are not going to be able to tackle this as easily as the chancellor says." Then it was the audience's turn to speak. "Our chancellor has been pursuing policies that I would have expected from the left," said the first, noting that Merkel eliminated Germany's mandatory military conscription, she ordered the closure of the country's nuclear power plants and she made concessions to Greece in the debt crisis. And now? "Now she's even threatening to divide Europe." "We will not, at the bottom, be able to solve the problems created at the top," complained another. Then a third asked, "Does the chancellor even remember what's in the oath she took?" Yes, parliamentarian Mack said, defending his party boss before then slightly distancing himself from her. "I personally wouldn't have done that with the selfies (which Merkel took together with refugees), there was a certain amount of clumsiness in it." At this point you could hear people muttering the word "stupidity." At a recent meeting of the CDU's national executive committee, Finance Minister Wolfgang Schäuble reported that the mood in the party base had deteriorated to a "dramatic" degree, especially in southern Germany and in the eastern state of Saxony, where the state chapters of the CDU tend to be more conservative. In the Saxony chapter, general secretary Michael Kretschmer resorts to carefully selected euphemisms to describe the situation, saying, "The voice of the people is of course very present." That's one way of describing it. At a protest in the town of Schkeuditz near Leipzig, a CDU member could recently be seen holding up a placard reading, "Dethrone Merkel." Christian Hartmann, the head of the party in the populous city of Dresden, said that his local chapter is divided. Some members have joined up with the right-wing populist Pegida movement, whereas others are attending the counter-protests. But, he adds, "The skepticism as to whether the political policies pursued thus far can be successful is gaining the upper hand. The general feeling is that we are structurally and organizationally overstretched." Take the state of Hesse, for example, where the state chapter of the CDU is also comparably conservative. "Of course many of our supporters and members are unsettled," says Elmar Bociek, who is running to become mayor next Sunday in the town of Sulzbach. During his campaign, he says, he has gone from door to door and the first issue on the tongues of people in most of the homes he visits is that of the refugees. Bociek is one of 34 CDU politicians at the municipal level who joined together four weeks ago to send an open letter to the chancellor in which they described "major concern for the future of our country." By disassociating himself from the chancellor's policies, Bociek has helped his campaign. "The people are already noticing that we have a different party base here than the national party," the local politician says. He believes the protests are starting to have an effect. With negotiations with Turkey, new asylum decisions and an initiative to secure better cooperation in Europe, it appears Merkel is starting to take action. Next spring, elections are to be held in three German states: Saxony-Anhalt, Rhineland Palatinate and Baden-Württemberg. The election in the latter will be the most important because the CDU wants to correct a historic anomaly. The CDU had ruled in the state for 58 years until they were unseated by the Green Party in 2011, an affront the party still hasn't recovered from. But how will the party run against Winfried Kretschmann, the state's Green Party governor, when he is constantly praising the chancellor for her handling of the refugee issue? Party leaders in the state, under the leadership of Thomas Strobl, who is also a member of the national committee, are waffling. "The CDU Baden-Württemberg supports our chancellor," Strobl claims, even if people "are of a different opinion when it comes to one issue or the other." Such protestations of loyalty, however, are often indicators of deeper discontent. And there are open voices against the chancellor's policies in the state as well. Nikolas Löbel, a young CDU leader in the state, is calling for a "temporary stop to the acceptance of additional refugees and asylum-seekers." Otherwise Germany threatens to be "infiltrated." District CDU chair Thomas Bareiss, who is also a member of the federal parliament, demonstrated his rejection of Merkel's policies in his choice of a keynote speaker. He invited Zoltán Balong, Hungary's education minister, to speak at a recent local party event. "With our fence, we are also protecting Germany's border," said the close confidante to Prime Minister Viktor Orbán. Merkel herself is expected to make nine appearances during the election campaign in Baden-Württemberg. When she does, she will find a party that is torn -- because although the number of her fans in the state has shrunk, they have not disappeared. In mid-October, 26 mayors and 10 members of the state parliament, signed a letter stating that they support her "clear position" and her "endurance." But in eastern German states, the image is clear. "The mood in the CDU in Saxony is similar to that of the CSU," says Matthias Rössler, the CDU president of the state parliament. On Nov. 14, the state chapter will be holding its own party conference. As their guest speaker, they have invited Horst Seehofer, the man who himself recently invited Orbán. It's a strange development for Merkel. It has been a long time since she has faced such dissent. But there's another reason that the development could become perilous for Merkel. Recently, greater scrutiny has been placed on Merkel's policies of the past months -- and it has revealed that she has made some far reaching mistakes. For one, Merkel's Chancellery responded far too late to the historic dimensions of the crisis. Already as far back as February, local communities had already begun ringing the alarm for help. In May, transit country Serbia began preparing for larger refugee movements. But officials in Berlin did nothing. The Interior Ministry refused to allow the Federal Office for Migration and Refugees to hire additional staff for processing asylum applications and thousands of old cases were left unprocessed. Later, when it became clear that the task at hand was too much for the head of the agency, he still remained in office for weeks. In June, CDU members of the state legislature in Baden-Württemberg warned in Berlin that the situation could get out of hand, but federal government officials didn't even begin to think about switching into crisis mode. And then came Hungary. Merkel's decision to open the border was correct. There was a humanitarian emergency and there was no time for lengthy consideration. But even correct decisions can have undesired consequences. Merkel failed to strongly state that taking in refugees in this way was an exception. It created the impression that Germany was prepared to accept every refugee who came to Europe. She didn't mean it that way, but that was the message that many wanted to hear. Merkel's move played right into the hands of Hungarian Prime Minister Orbán. He had wanted to suspend the Dublin Agreement, which requires asylum applications to be processed in the European country where refugees first arrive. Under Dublin, his country would have been forced to take in many of the refugees. The chancellor did him a favor in opening the borders and suspending the original rules. "A European problem was turned into a German one," Berlin's Tagesspiegel newspaper wrote in an editorial. And the point at which Merkel called for European solidarity came too late. Germany's partners understood action taken by the government in Berlin to be an invitation to simply pass the refugees on to Germany. Orbán accused Merkel of brazenness and even moral imperialism. All at once, the balance of power in the EU was turned on its head. As it turns out, the woman who until very recently had been hailed the "Queen of Europe" has insufficient leverage to force her European neighbors to help. Instead, Merkel has navigated herself into a corner. The fact that she has been abandoned by both her European neighbors and many within her own party has strongly reduced the chancellor's room for maneuver. Nor is any help from her coalition partner, the center- left Social Democrats (SPD), to be expected. Instead, the SPD are observing with barely concealed satisfaction how their seemingly invincible opponent is weakening herself. They seem to be taking a sit back and relax attitude, even though the party itself doesn't stand to profit from the chancellor's weakness due to its perpetually weak standing in public opinion polls, where it appears to have become stuck on 25 percent, a pitiful figure for a once large party. After initially expressing sympathy for Seehofer's demand to establish "transit zones," the party is now indicating an unwillingness to compromise. "We will not agree to the detention centers," said Thomas Oppermann, the head of the party's group in parliament. Instead he is calling for the further suspension of the Schengen Agreement. "Independent of that, however, we need to quickly apply assertive border controls and ensure that there are orderly conditions when it comes to entry into Germany." Merkel is wavering, but is there a chance she will actually fall? The threat has never been as great during her 10 years in office. At the same time, Merkel is also an experienced crisis manager who knows that her political survival is dependent on lowering the number of refugees. The CDU and the CSU tend to hold on to their leaders as long as they can continue to win elections. In March, voters will go to the polling stations in three German states. In that sense, Merkel has precisely four months' time to get the situation under control. Investors had the weekend to examine Friday’s Employment Report more thoroughly and came to the conclusion that perhaps they were good enough for the Fed to raise interest rates in December. At least that was the thinking of SF Fed Governor John Williams over the weekend in a speech Sunday saying a rate hike now “makes sense”. Well, nothing going on with the Fed and financial markets “makes sense” lately. Given those comments, along with others investors’ decided the best route now was to sell keeping conditions on hold until after the December Fed Meeting. Market sectors moving higher included: This is easy; Gold Stocks (GDX) and Volatility (VIX). Volume increased on selling and breadth per the WSJ was negative. There isn’t much in the way of economic data this week until Retail Sales show up on Friday. For now investors are of two minds. On the one hand they’re trying to reconcile good news being bad given Friday’s Employment Report means a possible interest rate increase sooner than expected; and, with the reality that Friday’s good news was actually not as good as advertised. This may hold investors on pause until after the December Fed Meeting. Payrolls +271,000; Is the Game Changing? I can already tell NFTRH 368 is going to be a flowing thing because there is a lot of on-point material to talk about. So the usual standard charts will be minimized in favor of trying to get a good read on what is in process in the markets, in policy and in the economy. 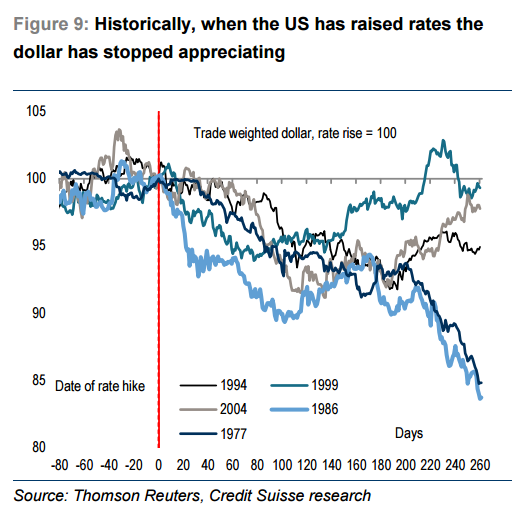 Specifically, given the October Payrolls data, its effect on interest rates and the US dollar we seem to be back to a point similar to where we were 1 year ago when we used a strong USD (and corresponding weak Yen and Euro) to plot bullish trade possibilities in Japan and Europe, and a bearish environment for US exporters. But first, with the help of the highly recommended Floatingpath.com let's continue to break down the particulars of the Payrolls report (we reviewed monthly 'jobs' growth by industry in a post at nftrh.com): Inside Jobs. Here is another view 'by industry', which shows the trends that have been in place post-2009. It is a 'services' economy and a strong currency buys a lot of services. Here is the general view of Payrolls. While the +271k number was notable, the trend is sideways and biased down for 2015. Markets and economies are all about trends. All the October Payrolls did was to revert to the trend (and put a hell of a lot of hype into the markets). The bump however, has knee jerked a lot of analysts to begin projecting accelerating growth. Let's pump the breaks on that. Here is a view of said analysts' surprise vs. expectations. Again, when breaking it down to a graphical view, it does not seem so important does it? The media need to write things and analysts are paid to project things. But the upshot is that October Payrolls sprung back from a couple bad months. Period. Now that we have played it straight with a conventional look at the October payrolls, let's add in a little context, again with the aid of FloatingPath, and while doing so let's also consider that with the Fed expected to raise interest rates, yields are rising across the spectrum. A credit-fueled economy needs what... Beuller? Cheaply accessible and expanding credit. Rising interest rates do what? Anyone? They restrict access to cheap and expanding credit. Is this sustainable? This last item is something we have discussed repeatedly on this inflationary cycle. Whereas the 2003 to 2007 cycle was a commercial credit bubble, the current cycle is a bubble in government credit. The Fed is backed into a stance of having to raise interest rates to keep its credibility. In 2014, 12 per cent — close to one in eight — of US men between the ages of 25 and 54 were neither in work nor looking for it. This was very close to the Italian ratio and far higher than in other members of the group of seven leading high-income countries: in the UK, it was 8 per cent; in Germany and France 7 per cent; and in Japan a mere 4 per cent. The debate in the US has focused on the post-crisis decline in participation rates for those over 16. These fell from 65.7 per cent at the start of 2009 to 62.8 per cent in July 2015. According to the Council of Economic Advisers, 1.6 percentage points of this decline was due to ageing and 0.3 percentage points due to (diminishing) cyclical effects. This leaves about a percentage point unexplained. Princeton’s Alan Krueger, former chairman of the council, argues that many of the long-term unemployed have given up looking for work. In this way, prolonged cyclical unemployment causes permanent shrinkage of the labour force. Thus unemployment rates might fall for two opposite reasons: the welcome one would be that people find jobs; the unwelcome one would be that they abandon the search for them. Happily, in the US, the former has outweighed the latter since the crisis. The overall unemployment rate (on an internationally comparable basis) has fallen by 5 percentage points since its 2009 peak of 10 per cent. In all, the proportion of the fall in the unemployment rate because of lower participation cannot be more than a quarter. Relative US unemployment performance has also been quite good: in September 2015 the rate was much the same as the UK’s, and a little above Germany’s and Japan’s, but far below the eurozone’s 10.8 per cent. US cyclical unemployment performance has at least been decent by the standards of its peers, then. Yet as the 2015 Economic Report of the President notes, the UK experienced no decline in labour-force participation after the Great Recession, despite similar ageing trends to those in the US. Even on a cyclical basis, the decline in participation in the US is a concern. It is, however, the longer-term trends that must be most worrying. This is particularly true for the prime-aged adults. Back in 1991, the proportion of US prime-age men who were neither in work nor looking for it was just 7 per cent. Thus the proportion of vanished would-be workers has risen by 5 percentage points since then. In the UK, the proportion of prime-aged men out of the labour force has risen only from 6 per cent to 8 per cent over this period. In France, it has gone from 5 to 7 per cent. So supposedly sclerotic French labour markets have done a better job of keeping prime-aged males in the labour force than flexible US ones. Moreover, male participation rates have been declining in the US since shortly after the second world war. What has been happening to participation of prime-aged women is no less striking. In the US, female labour force participation rose strongly until 2000, when it was among the leaders. The US is the only G7 country to experience a sustained decline in the participation rate for prime-aged females since then. Japan, once far behind, has caught up. What might explain the extent to which prime-aged men and women have been withdrawing from the labour market in the US over a long period? The comforts of idleness cannot be a plausible explanation since the US has the least generous welfare state among high-income countries. High minimum wages cannot be blocking job creation and so persuading low-skilled workers to abandon the search for jobs. According to the Organisation for Economic Co-operation and Development, US minimum wages were 20 per cent below UK levels in real terms in 2014 and far further below the generous levels in France. Moreover, the US still has the OECD’s least-regulated labour market. childcare would seem a plausible explanation. Society has apparently decided it does not want to pay to keep women in the workforce. Another possible explanation is that labour market flexibility allows emp­loyers to substitute the young and the old for prime-aged workers. The US has relatively high participation rates for people aged 15 to 24. It has also experienced a big rise in the participation rate for people over 65, from 13 per cent in 2000 to 19 per cent in 2014. The latter puts it behind only Japan in the G7. Low minimum wages and high transport costs for workers living in sprawling US conurbations might also make low-wage work unprofitable. Particularly in the case of men, the numbers with criminal records created by mass incarceration might also help explain the difficulty in finding jobs and so their withdrawal from the labour force. 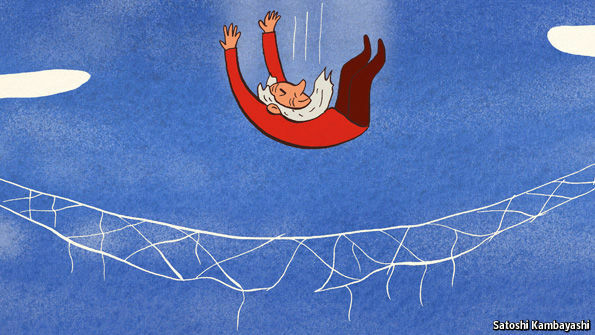 Finally, does the declining participation of prime-aged adults matter? Yes, it must: it matters if many believe they cannot earn enough in the labour market to support a family; and it matters if mothers lose their connection to the labour market. The relentless decline in the proportion of prime-aged US adults in the labour market indicates a significant dysfunction. It deserves attention and analysis. But it also merits action.